So Sometimes When Im Shaping or cutting things on my Beloved APS 3000 CNC, Things go wrong, Accidents happen. Concentration lapse or mechanical failures.. I hate wasting blanks, its my chosen art. 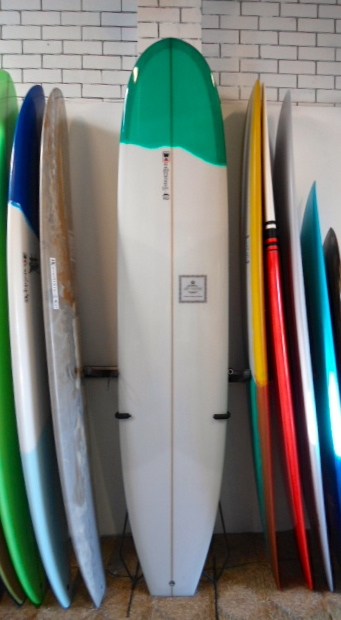 So this one started out as a DM model it should have been 6’3 x 19 1/2 x 2 1/2.. Anyway it ended up a lot thinner after the first cut down the centre so , i paused the machine to make sure i wasnt going to cut off any important fixtures.. all good so i went what the $%^& just cut it and see what comes out. 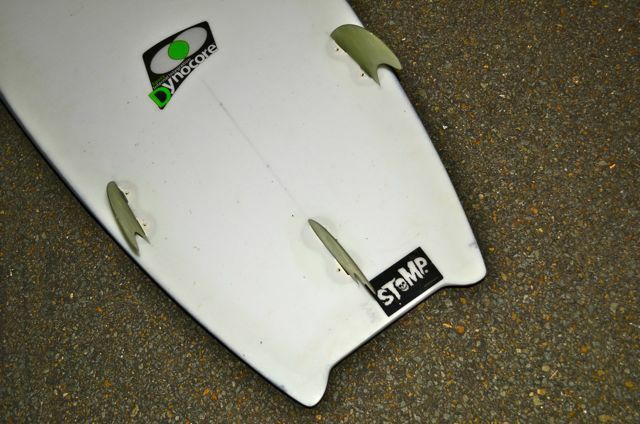 the blank ended up way too thin in the nose and tail and only 2″ thick in the middle..
i put aside for the day, i got what i needed to get done then went home with a mental image of what i had cut..
that night checked out surfermag Forum and had a look at the Tomo MPH. bingo i has an idea of what i could turn this blank into..
next morning i jumped in the bay and came out with this.. 5’8 x 19 1/2 x 2″… so its a low volume very high performance board. 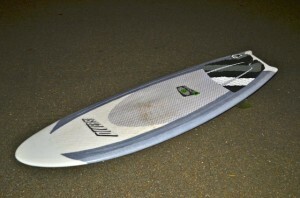 its ideal in waves with punch and high speed. 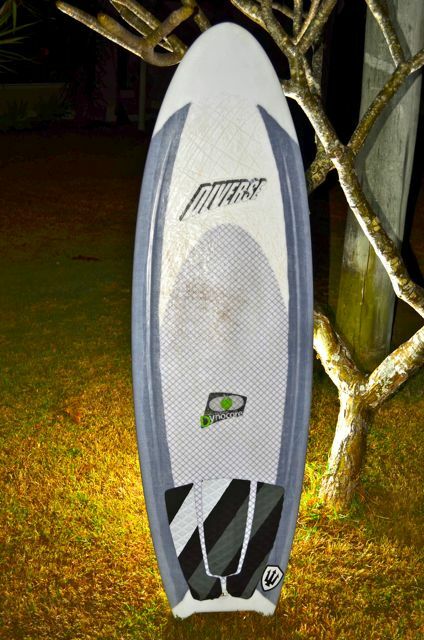 i have lent it out to a few of my performance crew and have had nothing but praise and tough times trying to get it back.. claims like its the best board ever, and how the hell did i do those moves this morning etc..
I’ve ridden this board a number of times. It’s one of the best beach break sticks around. Super responsive and fast, the parabolic channels and the size of the board allows you to trow this board into tight turns at high speeds. 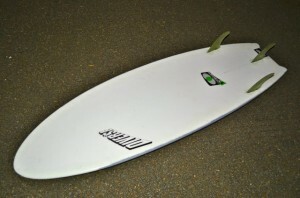 On a crunchy beach break between 2-5ft this is the board that makes impossible sections possible.